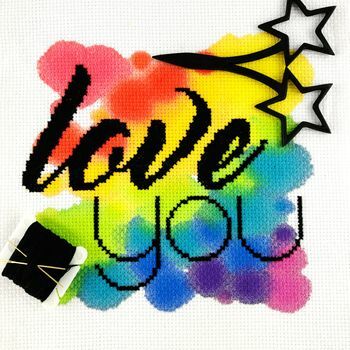 'Love You' A modern cross stitch mini kit with hand painted fabric. This is the perfect quick project to stitch to hang in your home. It could be made as a gift for your valentine or given to your love to complete themselves. 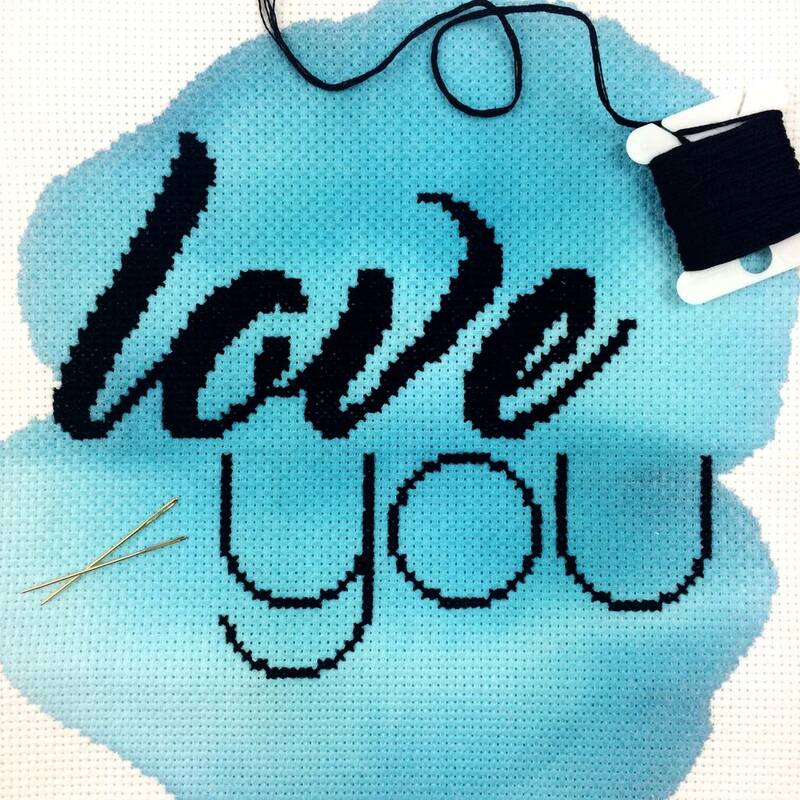 This modern cross stitch kit is perfect for that person who loves modern design, typography, inspirational quotes and taking some time to chill. Just make a cuppa (or G&T! ), sit down and relax whilst making a bright, modern, inspirational piece of artwork for your home. If you are interested in practicing mindfulness, cross stitch is a great way to do it. 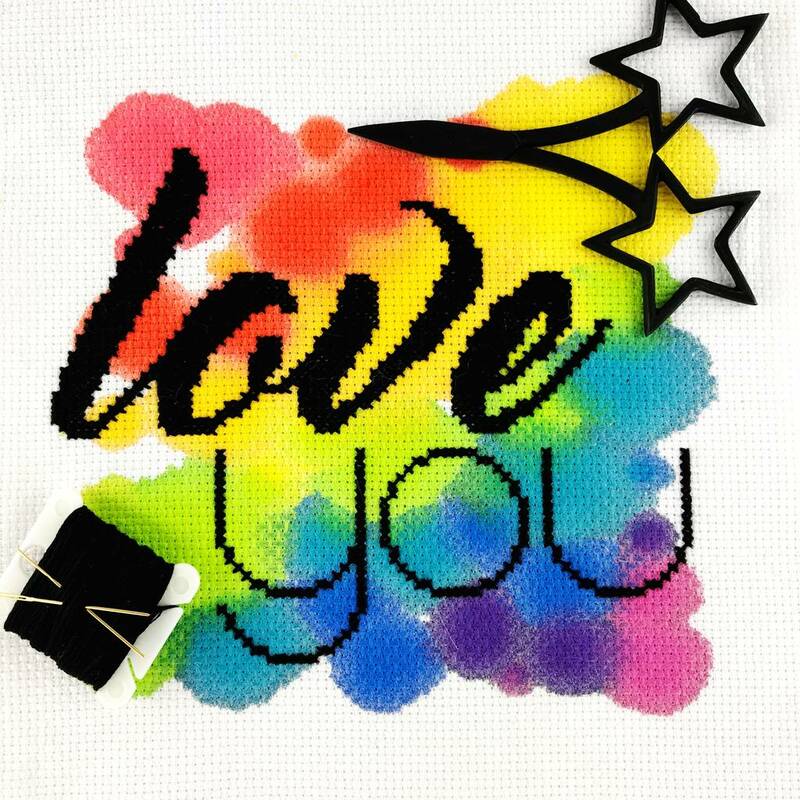 This kit is available in a choice of 14ct aida (perfect for beginners) or 28ct evenweave fabric in either neon pink, yellow, green, watercolour blue or rainbow. Contains small parts. Not suitable for small children. 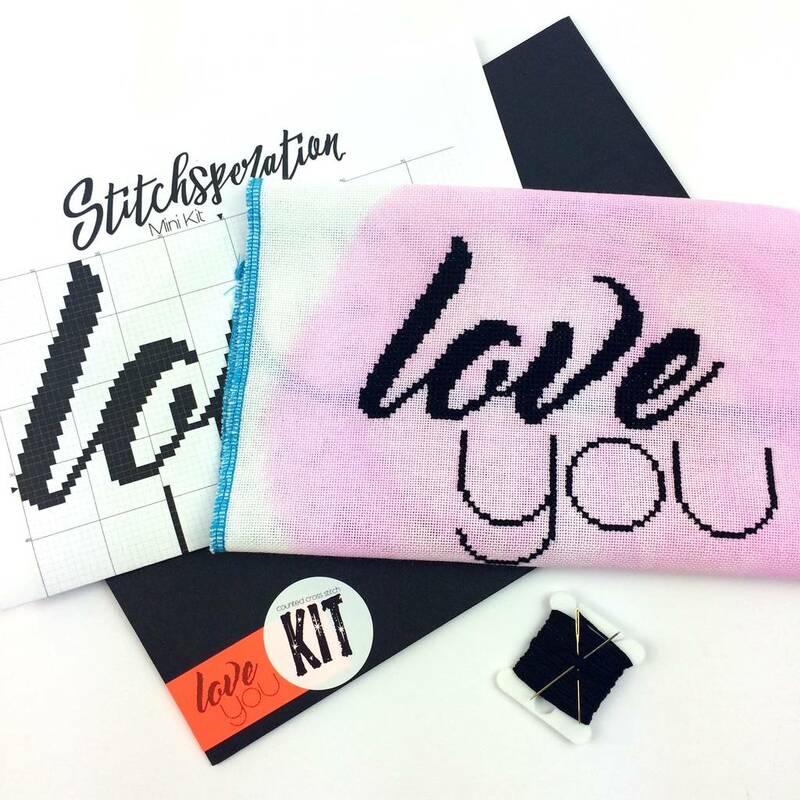 This product is dispatched to you by Stitchsperation.